Fun fact: I am a longtime devotee of Old Navy jeans. Aside from the obviously stellar price-\ point (I’ve rarely if ever bought a pair for more than $35, thanks in large part to Old Navy’s equally stellar sales), they are one of the few brands to produce fits that consistently and accurately accommodate my very disparate hip-to-waist ratio. Same goes for their incredible workout leggings—which are also surprisingly durable. But as a full-figured woman and longtime model in the plus industry, I’ve often wondered how the company who touts “fashion, fun, family for all” accommodates their in-store customers who happen to be over size 20, which is the largest size Old Navy stocks in stores. 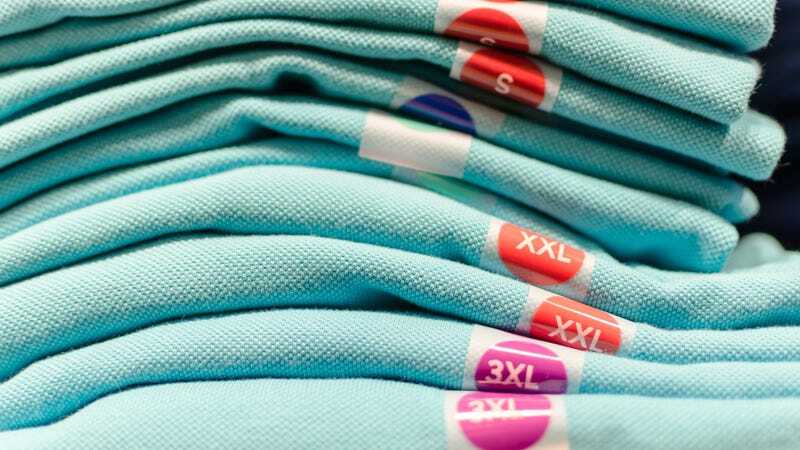 Though the brand produces clothing from size 00 to 30, since the 2007 discontinuation of the plus sections that lived within select stores, they have relegated anyone over a size 20 to an exclusively online experience. Over a decade later, Old Navy is now reversing course, stocking its full plus-size run—from 16 to 30—in 75 brick-and-mortar locations. But why did it take one of the most inclusive and affordable brands around so long to embrace inclusivity within its stores? When we were in stores, we didn’t necessarily execute it well and our customer wasn’t responding to our collection the way we had hoped, so we made the decision to pull back. The most important thing when you’re building out a plus line and bringing it in stores is addressing all the pain points; we saw an opportunity to improve the plus collection and build a loyal customer in the online space before returning to the physical retail environment. Reportedly, it was those loyal customers who helped refine Old Navy’s plus offering, as the brand took reviews and feedback to heart, tweaking the fits and increasing its offering until the plus assortment began “outpacing the brand’s performance in total,” according to Choy. In response, Old Navy is now rewarding their fuller-figured customers more in-store options—albeit, in limited locations within a designated plus section of the store. The idea is to continue to crowdsource feedback before relaunching plus throughout all of its locations over the next several years. For those of us who fall within the overlap sizes of 16-20, which are already represented in Old Navy’s stores, we’ll have the luxury of choosing between both the plus and main assortments. “We want to make sure we’re giving our customers the option of putting on a size 16 in the main line or putting a size 16 in plus—which may look the same aesthetically but is constructed differently for a better fit—and understanding what’s best for her,” said Choy. But despite the debatable decision to segregate the expanded size offering into its own section rather than integrate it into the main assortment, Old Navy insists that inclusivity is at the heart of their mission, moving forward.